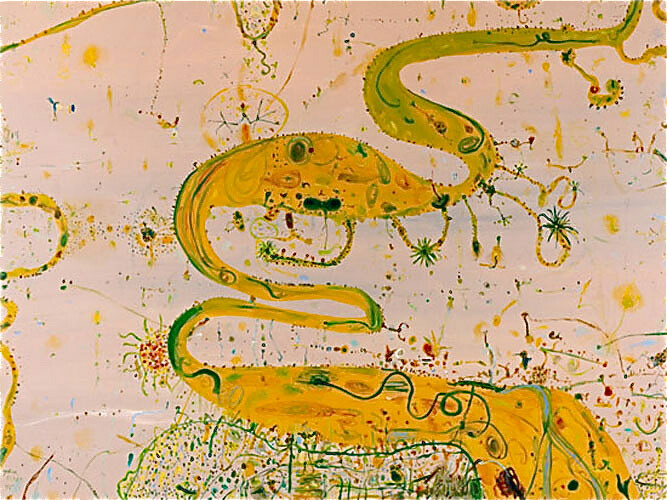 John Olsen limited edition fine art print tilted Wetlands 1985; Sheet size is small size 84.8x110cm and extra large sheet size of 104×135.3cm at Etching House. The edition is limited to 65 only; Wetlands 1985 by John Olsen is in stock at Etching House, we also offer up to 12 months lay buy. Wetlands fine art print is signed and titled by John Olsen. The archival fine art reproduction giclee prints range are reproduced using pigment inks on 100% cotton fibre mould made 256 grams per square meter stock material which is pH neutral, acid and lignin free. This bright white paper contains calcium carbonate as a buffer for atmospheric acids.